January kicked off the year with a post of how we created my rehearsal dinner dress out of my mom's wedding dress. In February, I started sharing our Hawaii honeymoon with our time in Honolulu, Oahu. March, I didn't blog - whoopsies! April had a post about sheet pan dinners (the best for weeknight meals) and in May, I shared my birthday dinner at Porto in Boston. In June, I continued our Hawaii honeymoon posts sharing what we did in Kauai. July was a great trip to Breckenridge, Colorado so I posted about our family time there! I also posted about our 5 days in Maui, the final leg of our Hawaii honeymoon. I wrapped up the month and our Hawaii honeymoon posts with all about what to eat in Hawaii. In August, I shared my love of rose skincare products. September's first post was about apple picking in New England, and since we celebrated our 1 year wedding anniversary, I posted all about our wedding! October had a fun post about bees popping up in fashion, beauty + home decor. In November, I shared our girls weekend trip to Portsmouth, New Hampshire and a local gift guide for shopping small in and around Boston. 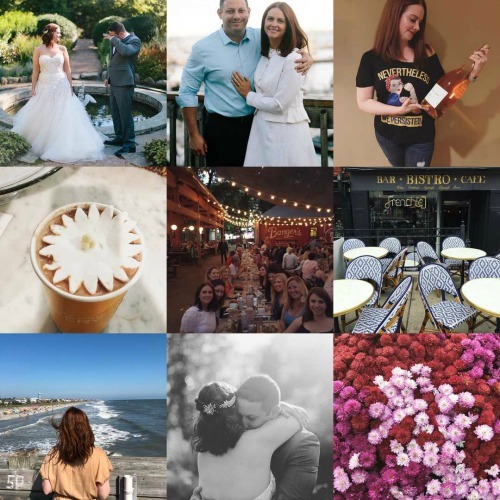 Ending the year in December, I posted about our October trip to Charleston, South Carolina and our long weekend trip to San Diego, California! Also check out what I wore to a friend's wedding in SD. Bring on 2018! Happy New Year! Photo is my #2017bestnine. See all my years in review here.